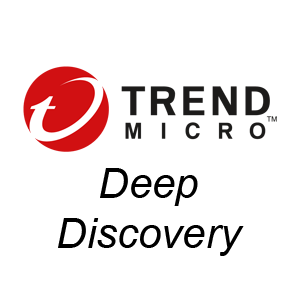 Trend Micro Enterprise Security Software. 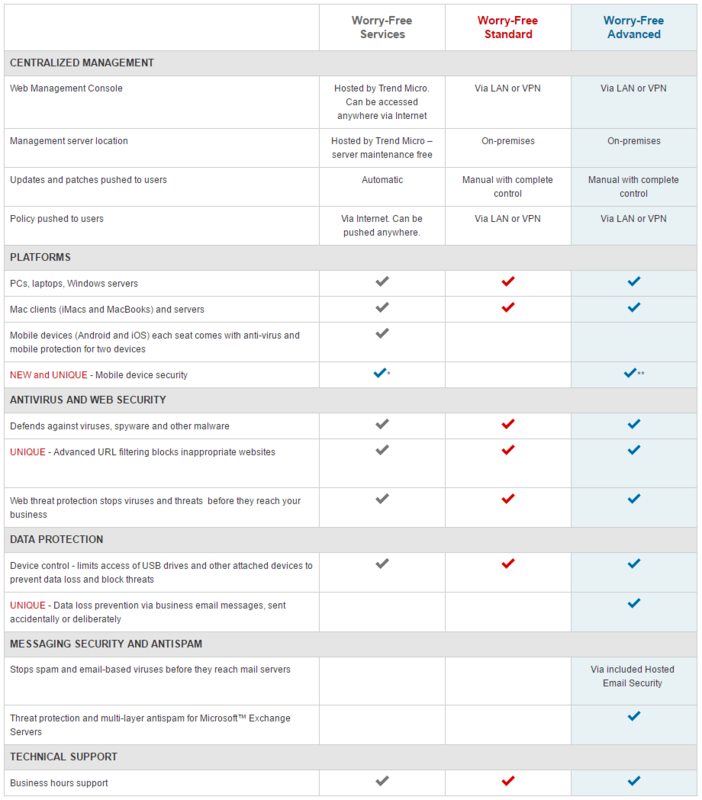 Comprehensive security capabilities, including anti-malware with web reputation, host-based firewall, intrusion detection/prevention, integrity monitoring, log inspection, and globally trusted SSL certificates. Offered as Service or Security Software. Continuously updated protection stops spam and advanced threats before they reach you. Worry-Free Standard allows you to use your PCs and Macs without fear of interruption or data loss. It is security software that doesn’t require any IT expertise and won’t affect your network’s performance or slow down your devices. 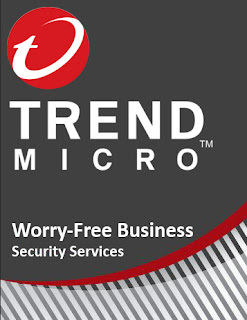 Complete user protection designed for small business.